The story of Jason and the Argonauts is one of the most famous tales from Greek mythology; although today, the story is arguably most widely known because of the 1963 Ray Harryhausen and Colombia film. The film has led to an increased awareness of the Greek hero Jason, but many of the other characters from the story have become peripheral figures, despite originally being important ones. One such figure is Aeetes, the king of Colchis and the owner of the Golden Fleece that Jason came to take. The story of King Aeetes is a dark one, although of course in the original Greek myths, the story of Jason and the Argonauts is also a dark one; the Ray Harryhausen film being a family friendly version of the tale. Aeetes was the son of the Greek sun god Helios and the Oceanid Perseis. This parentage is generally said to have made him sibling to Pasiphae, Circe and Perses. Helios would give Aeetes a kingdom to rule over; a kingdom originally known as Ephyra, but would become better known as Corinth. The neighbouring kingdom of Asopia (Sicyon) was given by Helios to Aeetes’ half-brother Aloeus. Aeetes though would not stay long in Corinth, and instead left the kingdom to a son of Hermes named Bunus; although when Bunus died the kingdom was absorbed into the neighbouring kingdom of Sicyon, by Aloeus’ son Epopeus. Departing from Corinth Aeetes would travel to the southern Caucasus, and there, on the eastern edge of the Black Sea would establish the new kingdom of Colchis. In Colchis Aeetes would become father to three children, the daughters of Aeetes being Medea and Chalciope, and the son of Aeetes being Apsyrtus. The mother of these children is not entirely clear, for ancient sources name the Oceanid Idyia, as well as the mountain nymph Asterodia, and the Nereid Neaera. Colchis would prosper under Aeetes, and it was to this new kingdom that Phrixus and his twin sister Helle would flee, when their lives were threatened by their stepmother, Ino. The passage to Colchis would be made on the back of a flying, golden ram, although Helle would die en route. Phrixus though made it to Colchis safely. Phrixus would sacrifice to golden ram, and Phrixus would then carry the Golden Fleece with him as he entered the court of Aeetes. Aeetes would welcome the stranger, and would wed Phrixus to his own daughter Chalciope; and in gratitude, Phrixus presented the Golden Fleece to Aeetes. Aeetes would then place the Golden Fleece in the guarded grove of Ares. Upon receipt of the Golden Fleece, a change was said to have come over Aeetes, for a prophecy was made that Aeetes would lose his own throne when strangers removed the Golden Fleece from Colchis. Strangers were no longer welcome in Colchis, and any that were found in the kingdom were put to death upon the orders of the king. Colchis soon gained a reputation across the ancient world as a barbaric state, and one which should be avoided at all costs. For several years no strangers entered the borders of Colchis, and so it seemed the throne of Aeetes was safe; but eventually the Argo brought Jason and 50 heroes across the Black Sea. The strength of the Argonauts was such that Aeetes could not immediately confront them, and so the king seemingly listened sympathetically to the request of Jason for the Golden Fleece. Aeetes of course had no intention of giving up the Golden Fleece but he sought to delay the Argonauts, and possibly find an opportunity to kill them. To delay Jason, a series of dangerous tasks was given to Jason to complete. Aeetes also perceived a secondary threat from the Argonauts, for amongst their number was Argus and Phrontis, the king’s own grandsons by Chalciope; both possible successors to Aeetes. At this time though, Jason was spotted by Medea, the daughter of Aeetes. 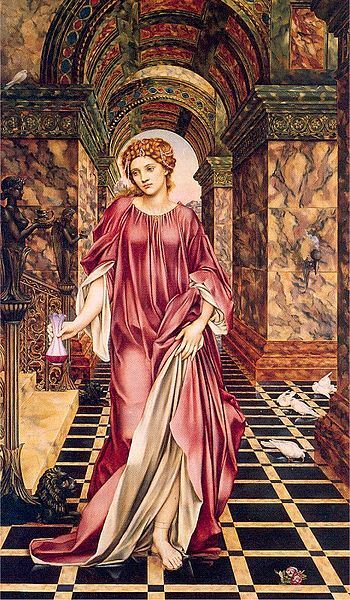 Aeetes believed that his sorceress daughter was loyal to him, but the gods intervened, and Hera persuaded Aphrodite to have Medea fall in love with Jason. Medea would then willingly aid the Greek hero, dealing with the breathing bulls, the sowing of the dragon’s teeth, and bypassing of the Colchian dragon. It would thus prove to be Medea, even more so than Jason, who enabled the removal of the Golden Fleece from Colchis. Jason, with Golden Fleece in his possession, would flee from Colchis with Medea and the surviving Argonauts. Soon though, the Colchian Fleet was in hot pursuit of the Argo, and the first wave of ships was under the command of Aeetes’ son, Apsyrtus. The Argo was being quickly overhauled when Medea hatched a murderous plan. 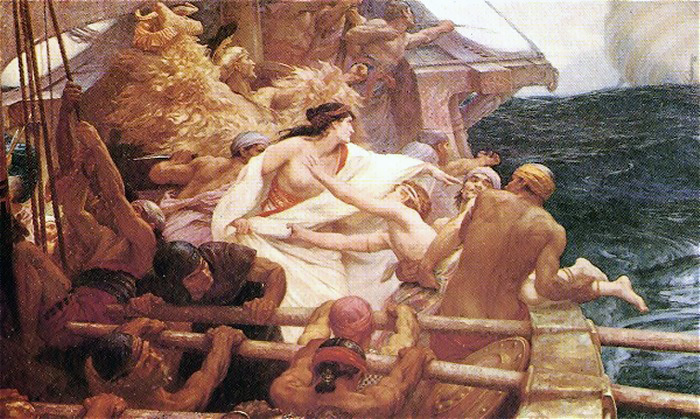 Medea invited Apsyrtus onboard the Argo, seemingly in order that the Golden Fleece could be given up, but when the son of Aeetes was onboard he was killed by Medea and/or Jason. The body of Apsyrtus was then cut up, and the body parts thrown in the sea. The Colchian fleet was then significantly slowed as Aeetes ordered that all the parts of his son were rescued. The loss of the Golden Fleece would ultimately lead to the loss of the throne for Aeetes, just as the prophecy had predicted. Perses, Aeetes’ own brother, would depose him. Several years would pass, but then Medea would return to Colchis; the sorceress having been abandoned by Jason, and subsequently exiled from both Corinth and Athens. Finding Perses on the Colchian throne, Medea sets about righting the wrongs from years earlier, and Perses would die at the hands of Medea. Medea then placed her father back on the throne. Aeetes would eventually die a natural death, and Medea’s son, Medus, would succeed hi grandfather.